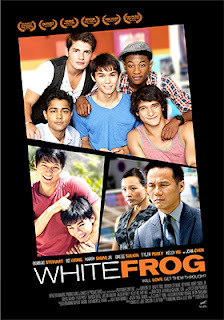 On July 16 Wolfe Video will release on DVD director Quentin Lee’s White Frog, a heartfelt tale about a high school student named Nick (Booboo Stewart), who discovers much that he never knew or expected about his brother after his tragic death in a foolish traffic accident. Coping with Asperger’s syndrome, Nick always thought that his brother Chaz (Harry Shum, Jr.) was the perfect person, but when Chaz’s best friend Randy (Gregg Sulkin) helps Nick through the grieving process much about his brother is revealed that he never fully appreciated or understood. Some secrets, even when it comes to family, are not shared. Bonus features include a behind-the-scenes production featurette. VCI Entertainment has tagged June 25 as the DVD debut date for Brit filmmaker Jack Lee’s vintage 1949 post war motorcycle racing drama, Once a Jolly Swagman (aka: Maniacs on Wheels), starring future box office star Dirk Bogarde along with Bill Owen, Moria Lister and Renee Asherson. 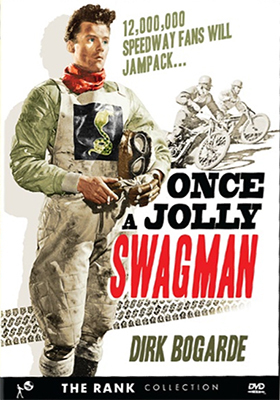 Filmmaker Jack Lee would be at the vanguard of Australian filmmaking (A Town Like Alice, Robbery Under Arms), but before heading down under he delivered this tale about Aussie flat track bike racing imported to England after the war — which proved to be a major draw. This production was a quickie theatrical melodrama that was rushed into theatres to capitalize on the fast growing racing phenomenon. Imagine that you have a time machine that can magically transport you to witness and experience first hand any natural event. 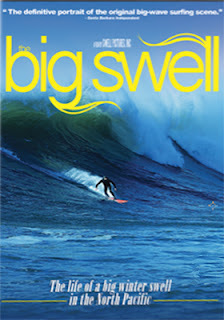 The power of the San Francisco earthquake, a tsunami crashing down on an unsuspecting seaside community or a tornado striking a small town in the dead of night … pick one and experience it first hand. That’s exactly what happens in FilmWorks Entertainment’s July 23 DVD debut of documentary filmmaker David Pearce’s The Big Swell. A group of daredevil surfers know when (though modern technology) and where a massive North Pacific winter swell is going to strike — down to the exact place and time — and are there waiting for it. That’s what he captures in his on-the-run film presentation, which can be described in two words: awesome and insane! Oh yes, and one more thing ... there's no CGI involved, it's all real. Paramount Home Media Distribution continues to take full advantage of the tidal wave of publicity associated with the arrival of the next theatrical installment in the venerable Star Trek series. On May 17 Star Trek Into Darkness hits theatres nationwide and the latest release to hit retail is the July 30 Blu-ray debut of Star Trek: The Next Generation - Season Four (a six-disc set featuring all 26 episodes). Star Trek: The Next Generation - Season Three just hit Blu-ray shelves this past week (Apr. 30), along with four theatrical features and TV episode compilation of Star Trek: The Next Generation - The Best of Both Worlds. 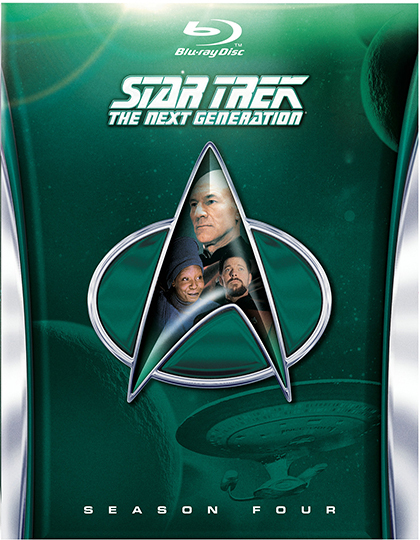 We expect the remaining Star Trek: The Next Generation seasons on Blu-ray as a pathway to the home entertainment launch of Star Trek Into Darkness sometime this fall. Kino Lorber revealed its July DVD and Blu-ray product line up this past week. Of course film is always a subjective thing, but most would, I think, agree that Oscar-nominated New Zealand actor-turned filmmaker Taika Waititi’s Boy is at the front of the Kino Lorber July packaged media release parade. Slated for both DVD and Blu-ray on July 9, the ARR for Boy works out to 494 days and domestic ticker sales were $256,211. Do you call it a black comedy if your mother is dead and your father spends as much time in prison as he does on the outside? Off-kilter comedy? Black comedy? What’s the difference? 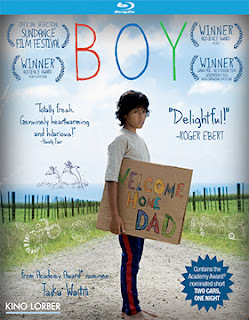 Boy is definitely an off-kilter black comedy! Set in New Zealand in 1984, Boy (James Rolleston) has a younger brother named Rocky (Te Aho Aho Eketone-Whitu), lives with his grandmother and hopes someday that his father, Alamein (played by Waititi) will get out of prison and be, well, his father. In the meantime he is hooked on the latest pop sensation out of the United States, Michael Jackson’s Thriller. Unexpectedly, that’s exactly what happens. Dad shows up and hopes to salvage what is left of his family. Boy is overjoyed at the prospects, but we quickly learn that his father has a hidden agenda that become all too obvious as the landscape around their home becomes peppered with holes. Writer/director Taika Waititi burst upon the international film stage with Eagle vs. Shark back in 2007 and Boy proves that it was no fluke. Also on the release calendar in July from Kino Lorber is documentary filmmaker Andrei Ujica’s The Autobiography of Nicolae Ceausescu. 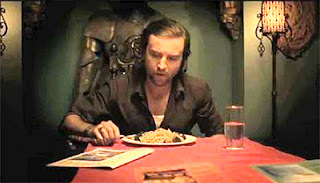 A DVD edition of this unique look (using only archive footage) at Romanian dictator Nicolae Ceausescu will street on July 2. Presented in Romanian, with English subtitles, the ARR is a leisurely 662 days and the domestic arthouse box office take was $33,292. 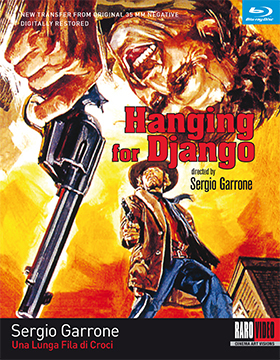 Making a DVD and Blu-ray debut (from the RaroVideo USA label) on July 23 is writer/director Sergio Garrone’s 1969 Spaghetti Western, Hanging for Django, starring Anthony Steffen as Django and William Berger as the equally legendary Sartana. On July 16 look for iconic filmmaker Mario Bava’s Black Sabbath: Standard Edition Remastered. Boris Karloff starred in this Italian-language horror tail, which was cut and dubbed in English for the domestic market in 1963. 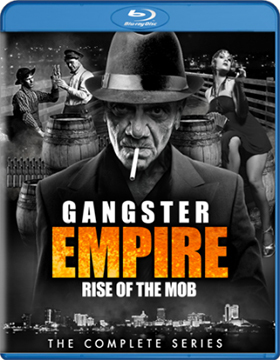 Kino Lorber has the original Italian-language version (with English subtitles) … uncut! Also from writer/director Mario Bava on July 16 is Kidnapped: Standard Edition Remastered. This is the original version of Rabid Dogs (recut and dubbed for domestic consumption) and is presented in Italian, uncut, with English subtitles. Lastly, July 30 marks the Blu-ray debut of director Erich von Stroheim’s 1922 silent film classic, Foolish Wives. Bonus features include the feature-length documentary titled The Man You Loved To Hate. 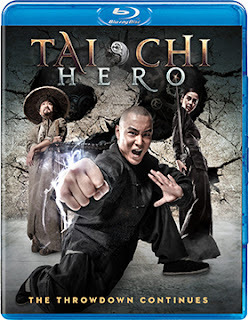 The second installment in the Tai Chi film trilogy, director Stephen Fung’s Tai Chi Hero, will be heading to DVD and Blu-ray from Well Go U.S.A. on July 2. The ARR from the film’s limited domestic theatrical run is 67 days. In the follow-up to Thi Chi Zero (released on DVD and Blu-ray by Well Go U.S.A. this past Jan. 22), once again the remote village of Chen becomes the focal point for the action — combat — between the forbidden style of kung fu that the villagers have mastered and the seemingly superior outsiders with their “modern” technology. Yang Lu Chan (Jayden Yuan/Yuan Xiaochao) returns to perfect his skills, protect the village (and its secret) and somehow develop a relationship with his arranged-marriage wife, Yu Niang (Angelababy), in this connecting film to the finale of Tai Chi Summit. 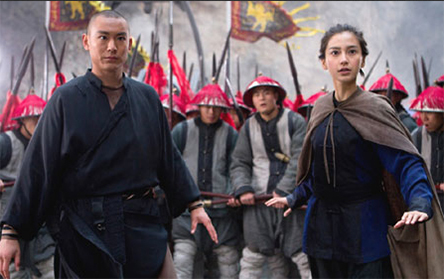 Battling the outsiders is one thing — a non-stop action proposition — but in this second installment of the trilogy, Yang Lu Chan also has to deal with internal issues that could prove to be everyone’s downfall. 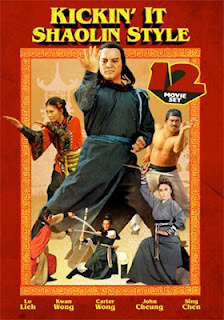 Presented in Cantonese, with English subtitles, bonus features include a behind-the-scenes production featurette. 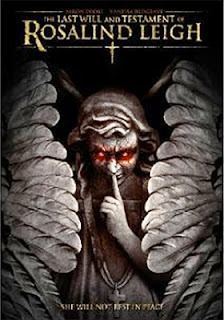 Image Entertainment has tabbed July 30 as the DVD debut date for The Last Will and Testament of Rosalind Leigh. Of note, this is the Rue Morgue magazine’s founder Rodrigo Gudiño’s first foray into feature films (as both writer and director). As someone who has lived and breathed horror (since 1997 … and certainly before the magazine’s founding), Gudiño knows his stuff and the move to feature films is certainly a logical progression for him — having scored both critical praise and festival wins for his previous short films (The Eyes of Edward James (2006), The Facts in the Case of Mister Hollow (2008), etc.). It’s a ghost story. It’s a haunted house thriller. Things that go bump in the night. The occult. All of the above, but with a few twists that deftly blend a literary sense with atmosphere, a terrific set piece and the chills you demand from genre works of this nature. Let’s start with the set; the spooky house. It is a character onto itself. The house is where the lead character, Leon (Aaron Poole — This Beautiful City, Small Town Murder Songs, etc. ), grew up in as a kid and he now returns to claim as his own after his mother’s (played by Vanessa Redgrave) death. But a lot has happened in the intervening years as mom, the Rosalind Leigh of the film’s title, has gone off the deep end. The place is a treasure trove of angelic figures, little shrines and more … not light and airy (heaven-like), but creepy. Add to this a filmmaking technique that is always a double-edge sword. The narration of the lead character — in this case Rosalind (the dead woman speaks!). In Billy Wilder’s Sunset Blvd. the comments of Joe Gillis (William Holden) were inspired and took the film to another level, but in Kubrick’s Barry Lyndon the running commentary by Barry Lyndon (Ryan O’Neal) only made the film seem twice as long as it was … “and now horrible things would happen,” and for the next forty minutes we would watch horrible things unfold. On balance, this technique of having Rosalind/Redgrave provide a narrative link to the proceedings works and when you combine that with the set decoration (outstanding — clearly worked out in advance to aid in camera movement) you have just the right mix to make it a spooky chiller; a ghost story … a haunting. Bonus features include commentary by writer/director Rodrigo Gudiño, his short film, The Facts in the Case of Mister Hollow, a photo gallery and two featurettes. Mill Creek Entertainment has selected July 16 as the delivery date for its next wave of priced-to-collect DVD and Blu-ray product offerings. 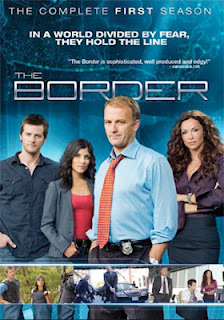 First up, on the DVD-on-TV front, are a three-disc set of the Canada Immigration and Customs Security action series, The Border: The Complete First Season, starring James McGowan, Graham Abbey and Catherine Disher, plus the UK import, Shameless: Seasons 1 & 2 (a four-disc collection featuring all 18 episodes from the long-running series first two seasons). For collectors, the focus in July is on the martial arts genre, with not one but two separate 12-film collections (on three discs each) and priced to sell at just $9.98 each. The packages are titled: Flying Fists of Kung Fu (includes the likes of: 7 Steps of Kung Fu, Ninja Fists of Fire, 18 Fatal Strikes and 5 Pattern Dragon Claws) and Kickin' it Shaolin Style (included in the mix are: Dynamite Shaolin Heroes, Shaolin Invincible Guys and 18 Shaolin Riders). Also on the film collecting side of the ledger are the 4 Movie Benji Collection (which features both Benji and For the Love of Benji), which carries as SRP of just $9.98, and priced at just $19.98 is the 8 Movie Collection: Terror Theatre (counted in the eight-film mix are both Hostel and Hostel, Part II, plus The Harvest, The Hunt for the BTK Killer and The Tattooist). Arriving on both Blu-ray and DVD is a look at the history of organized crime as embodied in the likes of Al Capone, Lucky Luciano, Meyer Lansky and others in Gangster Empire: Rise of the Mob – The Complete Series (SRP for the double-disc DVD set is $9.98; $14.98 for the Blu-ray SKU). Also on the history front for delivery to collectors on July 16 are the four-disc set titled Korean War: 60th Anniversary Commemorative Documentary Collection, the seven-disc collection of The Vietnam Chronicles and a double-disc presentation of the eight-part mini-series based on Daniel Yergin’s Pulitzer Prize-winning book The Prize: An Epic Quest for Oil, Money and Power (the series is narrated by Donald Sutherland). And last, but not least, is the four-disc priced-to-own kidvid set titled Liberty Kids: The Complete Series (all 40 animated history-themed adventures from the American Revolution period). The SRP for the series is just $12.98. For more details on this July 17 package (and other price-to-own product offerings) please visit Mill Creek Entertainment’s website at: http://www.millcreekent.com or call (866) 410 9000; email: sales@millcreekent.com. Wow! Eagle Rock Entertainment announced this past week that a four-disc DVD collection titled Jethro Tull: Around the World Live will be available for fans to own on June 25. You read that right, a FOUR DISC DVD Collection!!! Eagle Rock Entertainment has assembled 35 years worth of live concert performances showing off the talents of Ian Anderson, Martin Barre and various members of the group over the decades … indeed, one of the bonus features included in the set is a guide to all of the different shows as compiled by Joel McIver from Ian Anderson’s personal archive (like the old baseball saw, “you won’t know the players without a score card”). There are ten different shows included in this unique collection, beginning with the Isle of Wight in 1970 and finishing with Lugano, Switzerland in 2005 … stops along the way include Tampa, Florida (1976), Munich, Germany (1980), Dortmund, Germany (1982), Loreley, Germany (1986), Santiago, Chile (1996), Hilversum, Holland (1999), London, England (2001) and Montreux, Switzerland (2003). 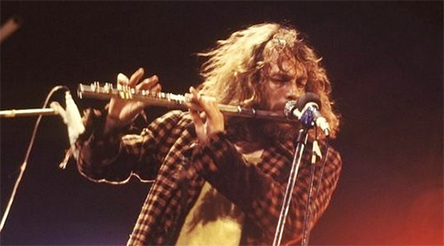 As for songs in the mix, you can bet if Jethro Tull recorded it, it’s likely to be here. 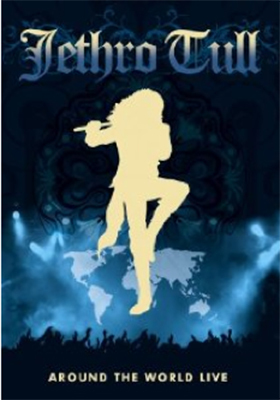 The epic “Thick as a Brick,” (almost a concert onto itself), “Aqualung,” “Budapest” and by our count a staggering 71 song/music presentations are showcased in this ten-concert collection. Bonus goodies include a photo album and an interview with Anderson (circa 1999).